Poker Rules | Learn Rules Of Poker And How To Play Texas Holdem! Poker Rules | Learn Rules Of Poker Games And How To Play Texas Holdem! This guide is dedicated to players who are just starting out and want to learn everything from scratch. If you are new to this game, you first need to master Texas Holdem poker rules not to put yourself in an undesirable position in the middle of the hand and only then move forward with more advanced strategies. 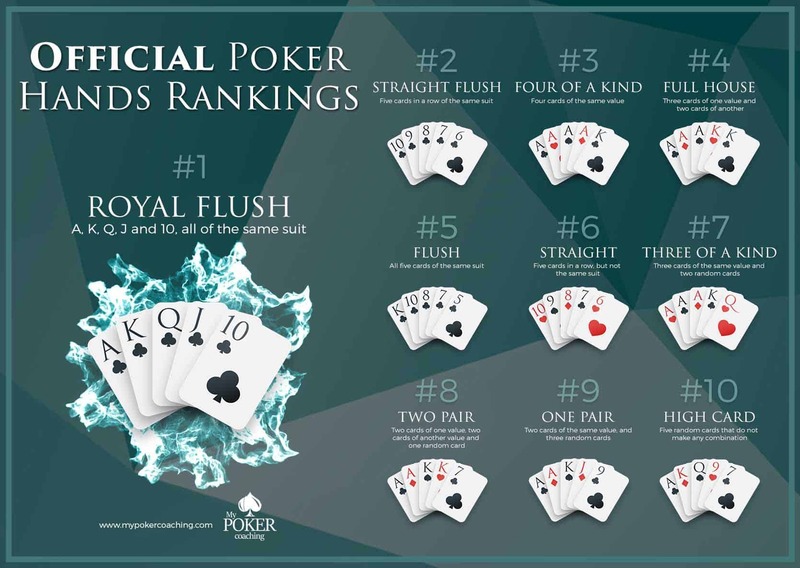 Therefore, before starting covering all game flow and poker rules, we will start with poker hands rankings because knowing what beats what is surely the first thing you need to learn in order to understand how to play Texas Holdem poker. This is the list of all possible combinations ranging from the strongest hand – Royal Flush, to the weakest – just a high card. Knowing that flush beats straights and that three of a kind are better than two pairs is mandatory, and you have to know it by heart. 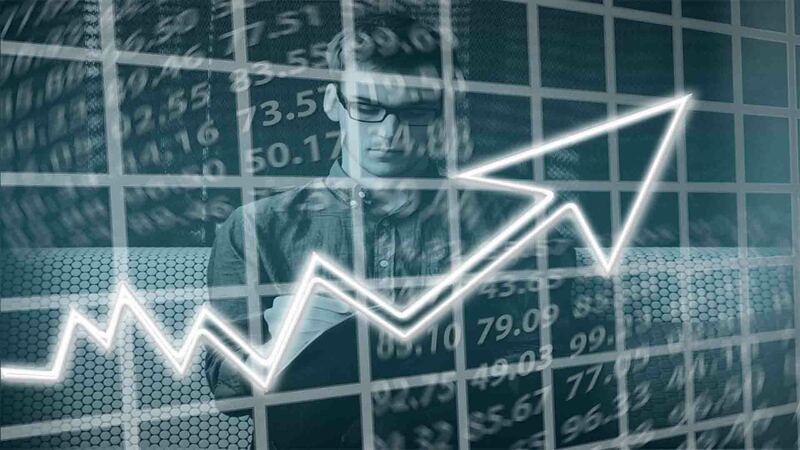 However, if you want to learn more about the rules of rankings and how to analyze your opponent’s hand, make sure to read full guide on poker hands rankings! Texas Hold’em is by far the most popular poker variant in the world, and everyone can join the action by learning simple rules. 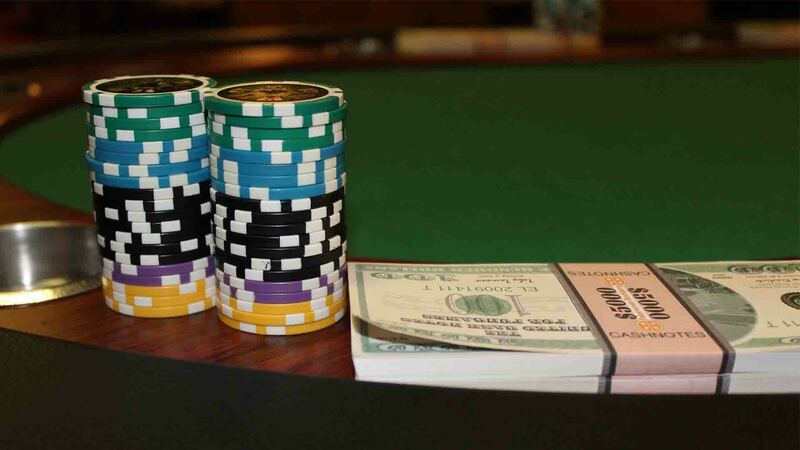 Even though Texas Holdem poker rules are quite easy, you need to spend some time mastering it. Moreover, you will need to learn some advanced strategies to play at higher stakes, and we will get to that as well. However, let us start from the beginning. 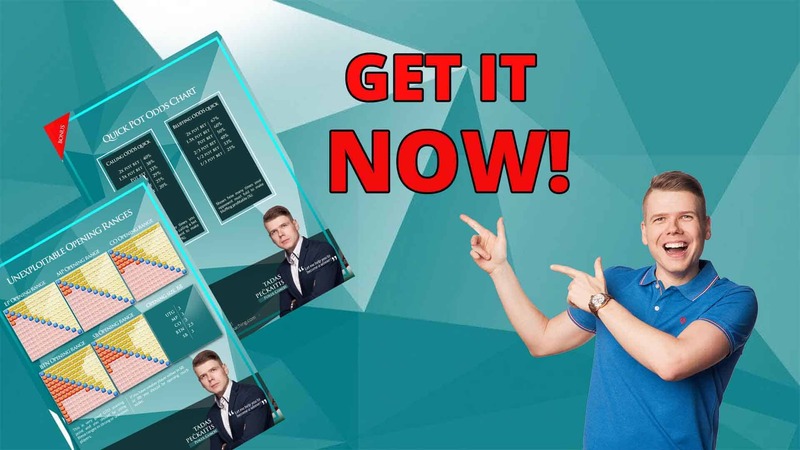 Your goal is to make the best five-card hand according to Texas Holdem hand rankings, which we covered above or bluff your opponent and get him to fold. 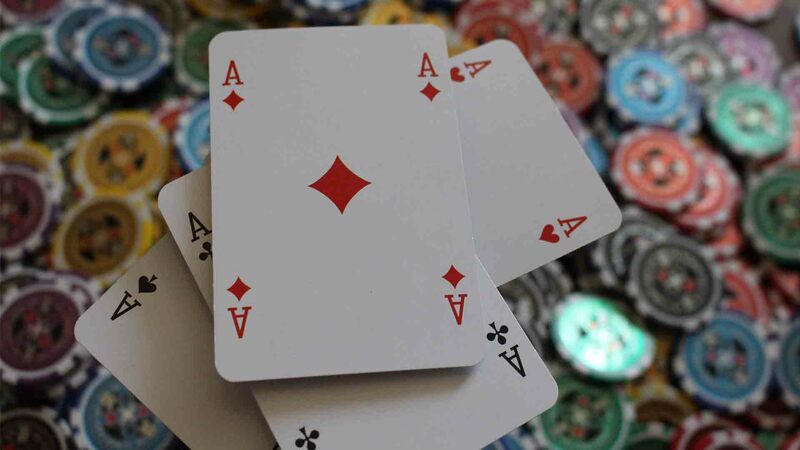 In Texas Holdem, every player gets two cards, which are faced down and known as hole cards. You should not show your holdings to anyone in the middle of the hand and only do that when you reach the showdown where you have to show the hand to decide the winner. The goal of Texas Holdem is to make the winning 5-card combination from your hole and community cards. Community cards are displayed in the middle of the table, and everyone can use those to make a winning hand. There could be up to 5 community cards in Texas Holdem if you see the river. The first three are dealt on the flop, then one on the turn and the last one on the river. As you already know, these cards are visible all the time, and every player can use those to make a winning hand combined with your holdings. You can use one or both of your cards to make the hand, or you can play the board, which means you are using all five community cards if you are unable to make a better combination with your hole cards. In the end, the player who has the best combination wins if the showdown is reached, but you can always bluff your opponent and take down the pot without it. Before the action starts, you have to decide who is going to be the dealer. The standard practice is that everyone draws a card and who has the highest ones becomes the dealer in the first hand. After that, the dealer button moves to the left and everyone will be the dealer when it is their turn. 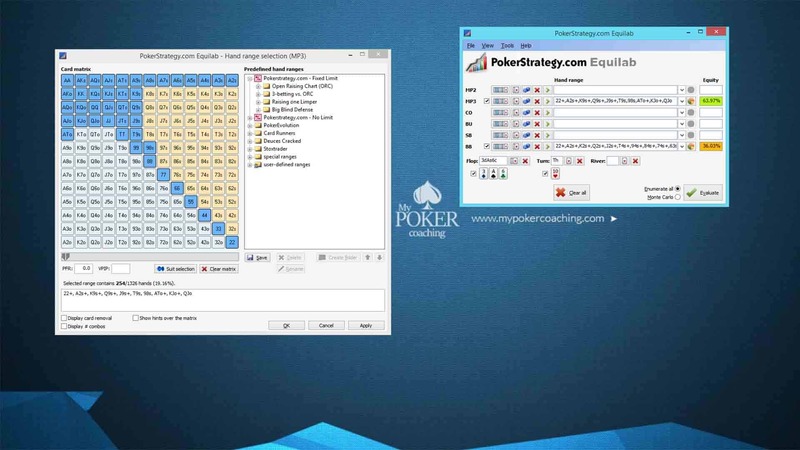 To make things easier, you can get help from dedicated poker software, for both live and online games. 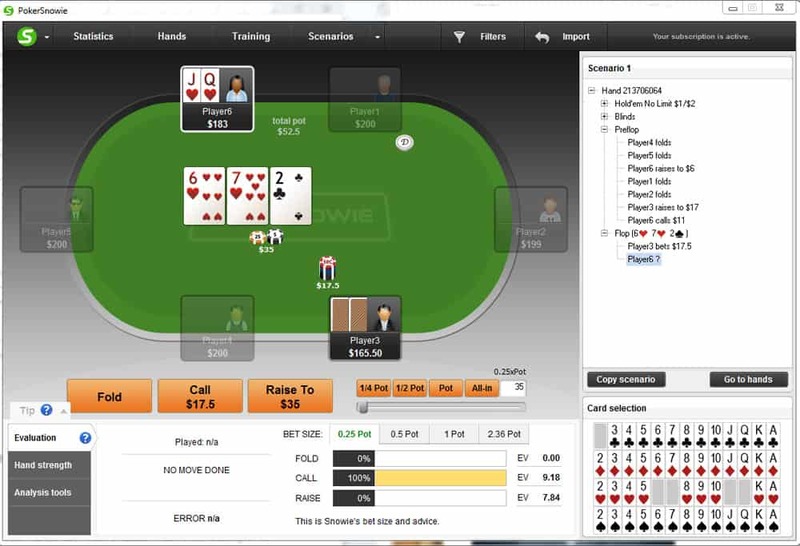 A player to the immediate left of the dealer is SB (small blind), and the player to the left of SB is BB (big blind). 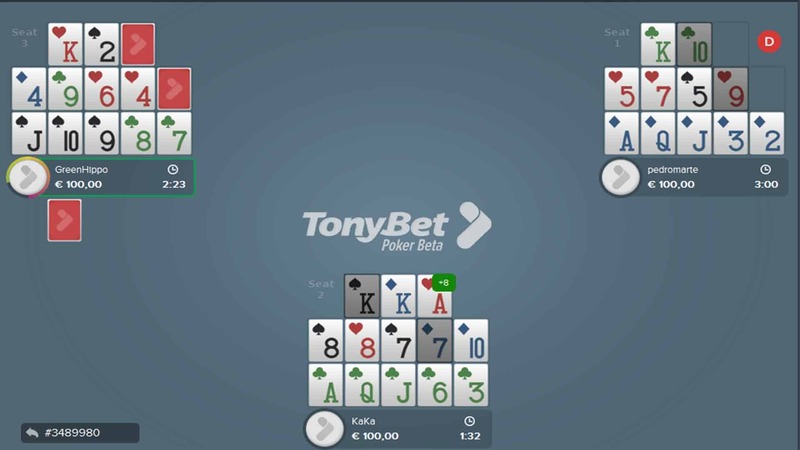 Both players have to post the blinds before the hand is even dealt, and that is why the bet called “blind”. In most cases, BB is exactly the double in size of SB or conveniently close to it. If you are playing in a cash game where the BB is $1 than the SB will be $0.5, and as a standard, the buy-in is 100 big blinds in a cash game or anything else as agreed by everyone, so in this case, it would be $100. When the dealer is set, and blinds are posted the action can start. As the name suggests dealer is the one who deals the cards, and he starts doing it by giving the first card to the SB and continuing clockwise until everyone gets two cards (meaning there will be two whole circles of dealing one card to each player). The dealer gets the last card if the hand is dealt correctly and then the betting action starts. When you finish playing the hand, the dealer button moves left by one place clockwise, and all action starts from the beginning. The hand ends when every player folds in any giving betting round, or you see the showdown when all rounds are completed. When all the above steps are complete, blinds set and hands dealt – the first betting round begins. The first to act is the player who is in the immediate left of the big blind. He can RAISE – increase the bet to the size that he wants, which follows the limits of the game. When the first player makes the decision, it is time for one who is sitting in immediate left to him, and all action continues clockwise until everyone makes the decision and matches bet sizes or folds. When a player decides to fold, he is not going to be involved in the hand anymore. Other players also have these three options and can make a decision based on the strength of their hand if everyone folded until them. For example, if the first player calls, the second one raises, and everyone folds to the first player he can fold, raise or call and see the flop. When everyone makes their decisions, and the bets are matched (is someone raised, another player called), we going to see the flop. This is where it gets interesting. When the preflop round ends, the first three community cards are dealt on the flop, and everyone can evaluate if it helped to improve the hand with their hole cards. calling (matching the amount of the bet another player made), raising or folding. When everyone acted, and all bets are matched on the flop, you will see the turn card. After seeing the fourth community card, the entirely new betting rounds begin, and the action follows in the same way as on the flop. The last community card, which you will see is called the river. It is the fifth card that is placed face-up, and everyone can use it to make the winning combination. When the card is displayed, another betting round occurs in the same way as on the previous street. Depending on your spot, you still have an option to check, bet, raise, call or fold. When all the betting action is completed, the remaining player will go into the showdown. It is the name of the end stage where you show the hand and see who the winner is. Everyone opens his or her hole cards, and the player with the best five-card combination takes down the pot. One of the most important things is to select the right hands to play. If you end up playing many weak hands or just premium ones, you will not do well. Therefore, to help you out with this I created printable poker hands cheat sheet, which you can download and put next to your table. 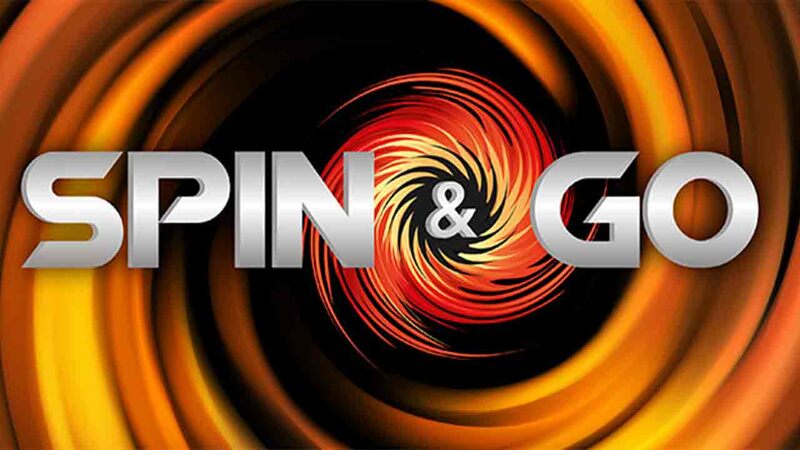 I have separate ranges for cash games and tournaments so make sure to grab it now, and you will be on the right track. 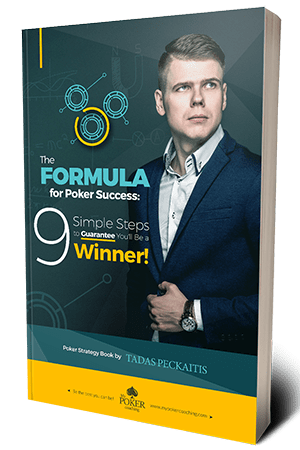 Building a winning strategy and learning how to play Texas Holdem in the most effective way is not as easy as it could look and it will inevitably require some studying, reading and most importantly, playing yourself. 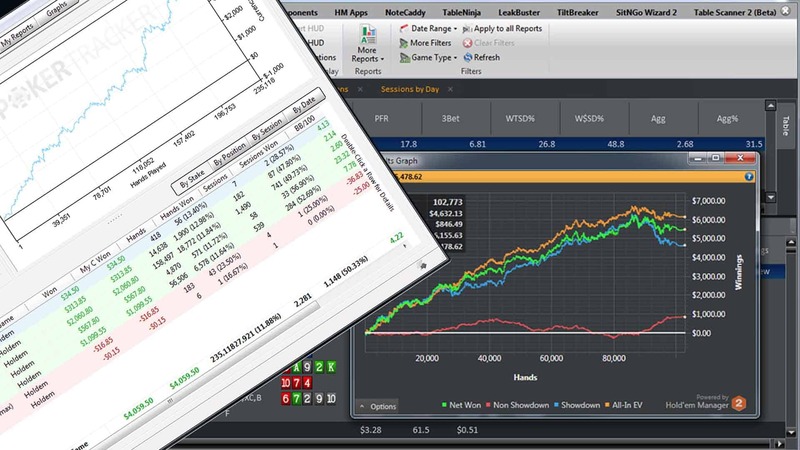 I highly recommend getting familiarised with poker stats, and how to use it to gain an advantage over your opponents. 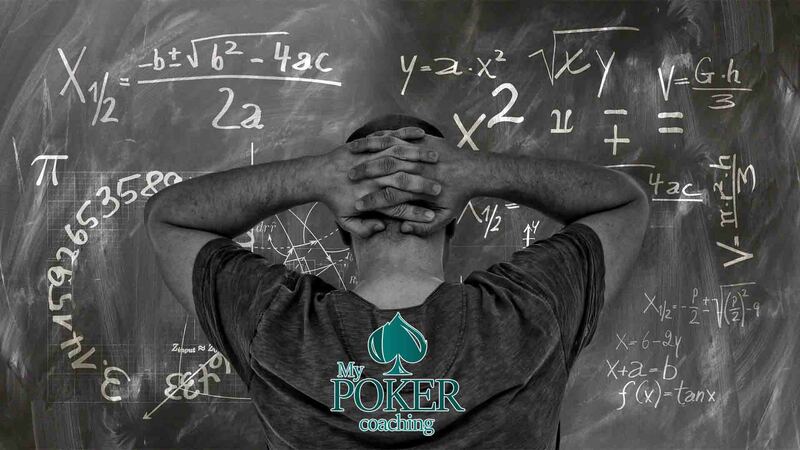 When you know basic rules of poker, it is time to build and an ultimate plan for your Texas Holdem strategy. The first step is to learn more about GTO (game theory optimal) play. I wrote an extended guide comparing and explaining GTO poker strategy vs exploitative play. 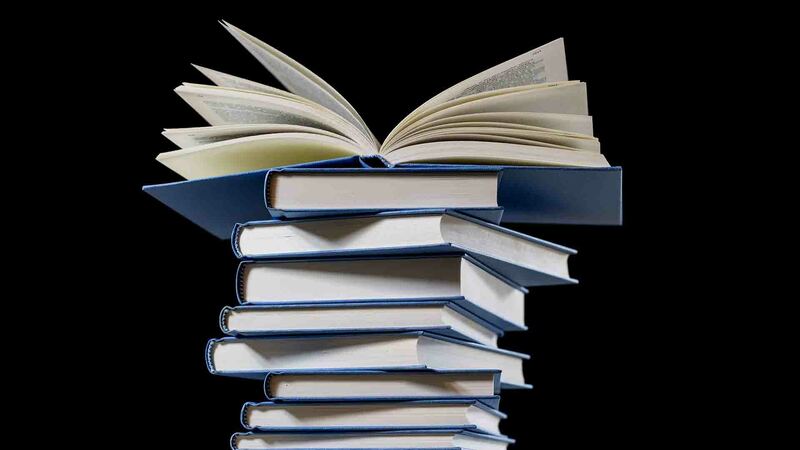 You will surely learn quite a lot reading it, so devote a few minutes of your time. The whole idea for the advanced strategies is to balance your ranges in the way that no one could exploit you. If you can build such ranges, you will be able to play in any game and still be making money. 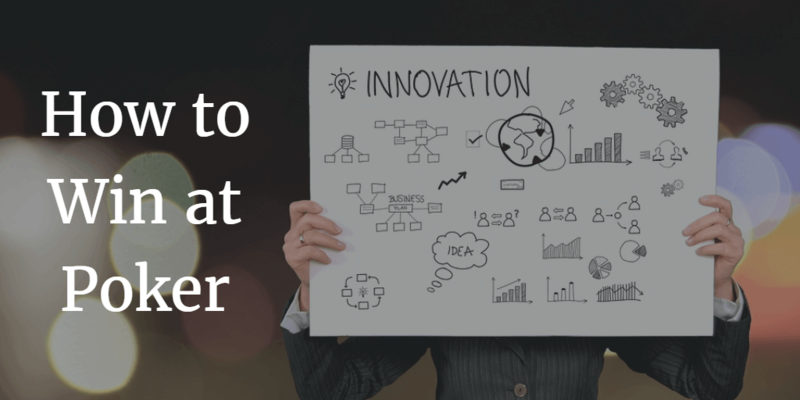 However, it is not as easy as it could look and requires a tremendous amount of work, time and even dedicated solving software that cost a lot of money. The good news is that you do not have to do it on your own because I already did it. I spend hundreds of hours analyzing different strategies, ranges and working with a number of different software to give a solution for you. 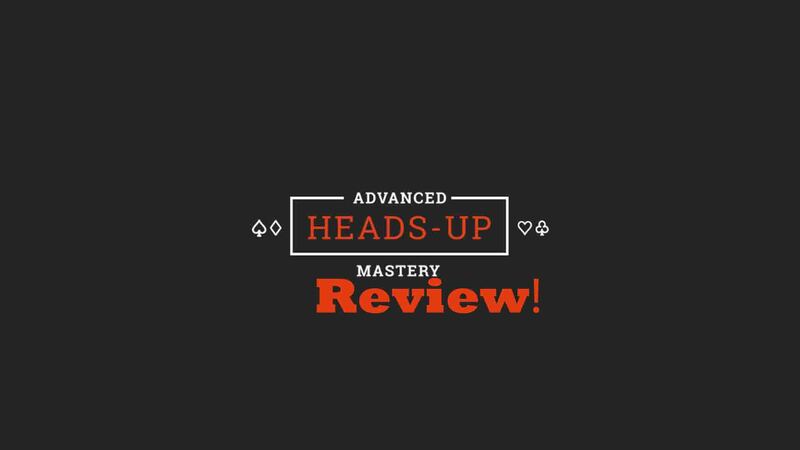 Thus, now you can master any part of your game, be it preflop or postflop, with advanced poker strategy courses. 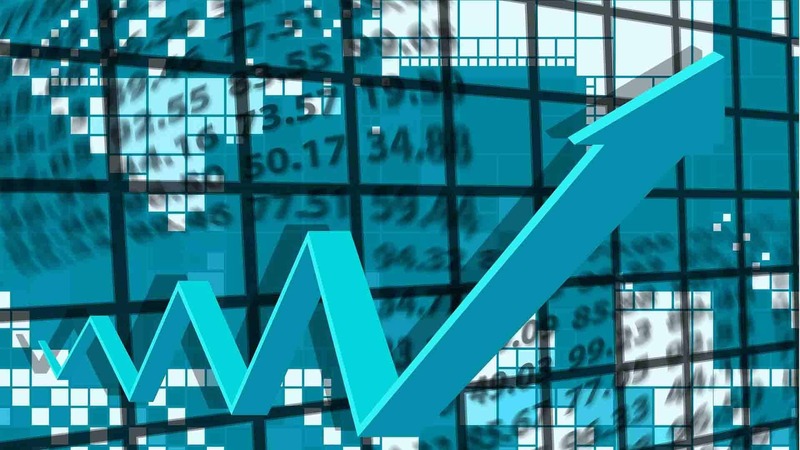 However, if you are up against weaker players who have many leaks and are just bleeding money, you should not be looking to balance your ranges and be unexploitable. Instead, you should concentrate on exploiting their mistakes. I will give you an extreme example, if someone is raising 100% of his hands on the BTN and folds to 3bet around 90% of the time, you should be 3betting him every single time with your weak hands, and you will end up printing money against such player. However, you cannot 3bet extensive and unbalanced ranges against professional poker players because they will recognize it, adjust their strategy and punish you hard. Poker is a math game thus learning Texas Holdem odds is crucial. To be honest, there are plenty of numbers that you should know, and it could take a lot of time to gather all this information, so I did it for you. 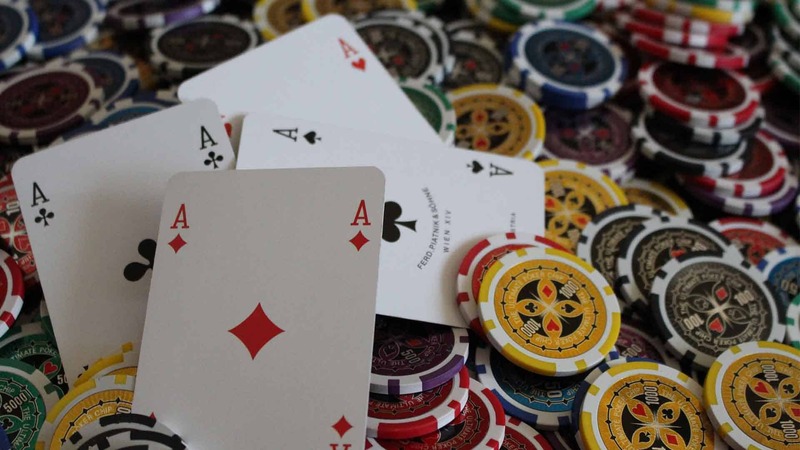 Here is a dedicated page to poker odds where you will find the most valuable information in one place. 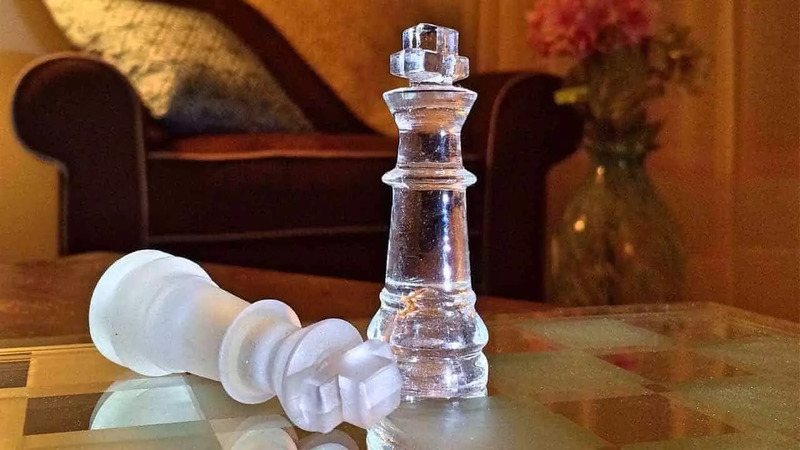 Before jumping into the games you should be aware that there are many things, you need to master, and some of them is not even strategy related. The first thing that comes to my mind is poker bankroll management. It is one of the essential skills to learn, which will help you build confidence and enable you to learn the game much faster. 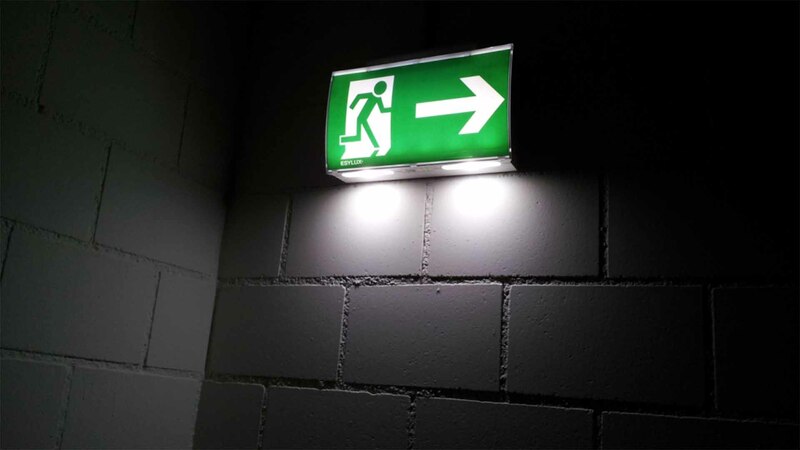 If you follow, correct guidelines and separate your poker bankroll from everyday life, you will not feel under pressure and can make better decisions. Moreover, it is equally important to have enough money to outlive swings, which will inevitably happen because of poker variance. This alone will prevent you from tilting and unnecessary losing money and will be a good addition to your overall Texas Holdem strategy. Another one of Texas Holdem tips is to prepare for your games. If you spend few minutes before your session to take care of all your basic needs, turn off all distractions and prepare yourself mentally, you will make much better decisions and will be able to keep your concentration for longer. 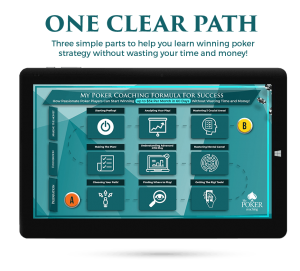 Self-management is critical, and you can get a bit more information about this topic on my free poker book! 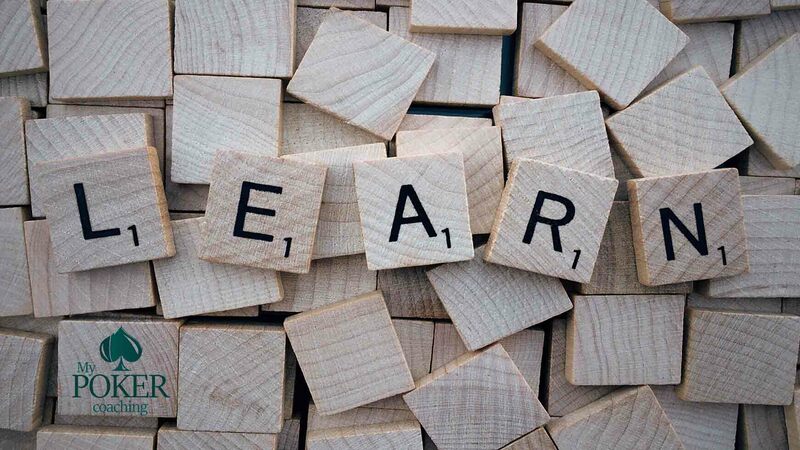 Apart from that, most other tips are strategy related, and you will find a full list of my latest articles and best poker tips here! Knowing official Texas Holdem rules is extremely important, and hopefully, you have a good idea how it all works by now. However, you should not miss poker etiquette as well because it plays a huge role in your table image in live games. Moreover, if you can be fair, friendly and follow these poker etiquette rules, players will be more sympathetic to you and potentially give away more poker tells when chatting with you. 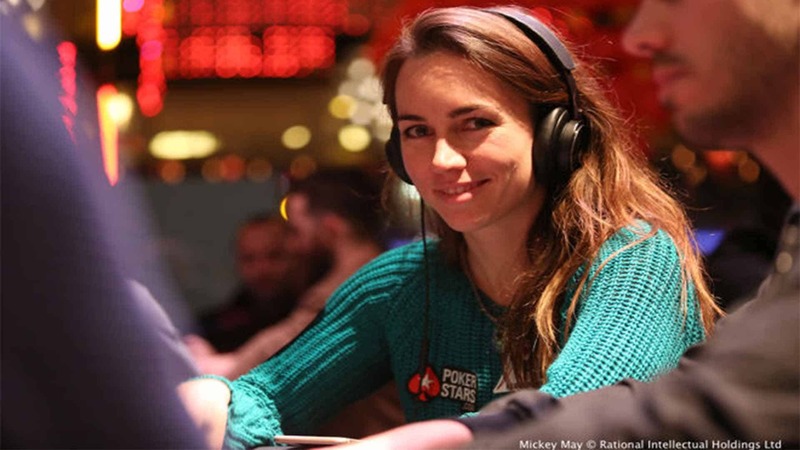 It is considered one of the worst poker etiquette missteps, and you should never do it. Slow rolling is when you deliberately act slowly when you know you have the winning hand and force your opponent to think otherwise. Obviously, you can do that to disguise your holding when thinking about raising or trapping in the middle of the play, but that is not called slow rolling in poker. 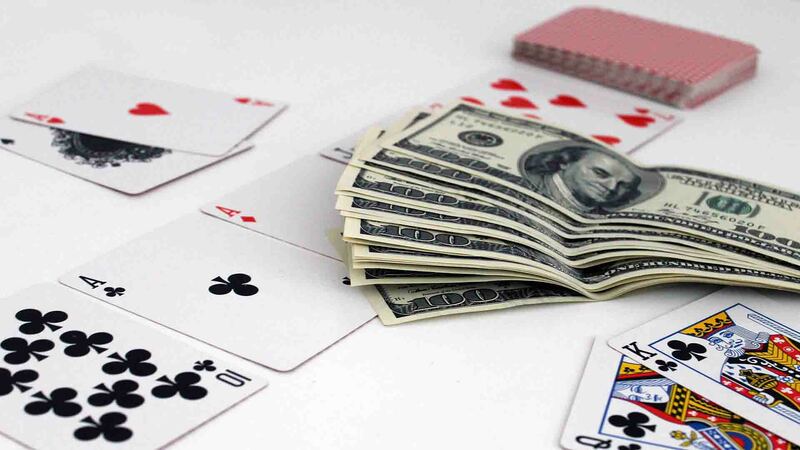 However, if you call your opponents all-in while holding the best possible combination and do not show your hand at once letting him think that he won, it is considered terrible etiquette and should be avoided. It can even happen preflop, let us say your opponent moves all-in with KK and you call with pocket AA. When he turns his hand faced up, you should do that as well without hesitation. If you deliberately wait and tease him, you are just slow rolling. As I said before, it is always a bad idea to do that. Responding, in turn, is crucial in poker. If another player who sits before you is still thinking, you should never fold or announce any other action. First of all, it gives additional information to your opponent and puts him in advantage while making the decisions, which is unfear to all other players. Moreover, when you get to showdown, you need to show your hand in turn as well. If you were the aggressor, you will likely have to show first so do not try to trick other players to act before you. If you are not sure whose turn is it, just ask the dealer, and he will say. Hiding high-value chips behind the stacks of lower ones is considered unethical behavior and is not tolerated. If you are caught doing that the dealer will ask to put those chips in front and there is no room for the argument there, just do it. While you are in hand, you cannot show your holdings to anyone. Even if the player sitting next to you already folded, he can intentionally or unintentionally give away some signals or expose poker tells with his reaction about the strength of your hand. Moreover, in no case, you can ask for advice from anyone and should play your hand alone. So as you see, there is no point showing your hand to other players, and I highly recommend not doing that. Another example of a horrible poker etiquette is talking or saying something to the player who is playing the hand. Obviously, if you are in hand with him as well, then talking is fine, but if you folded and he is up against someone else, you should not distract him or give away any information. You should not discuss your holding, how you should have played the hand or if the flop had helped you if you are not in hand. Moreover, you should restrain from advising other players even if they ask. If you want to comment something, just wait until everyone finish playing and talk, as you like. However, until the hand is completed, you should restrict yourself from making comments. You should always know when it is your time to act and what has happened in hand already. Thus, you should not get carried away by chatting with someone or playing with your phone while still in hand and instead, concentrate on following the action. It allows playing faster and results in playing more hands per hour. Apparently, everyone wants that if they are here to play. 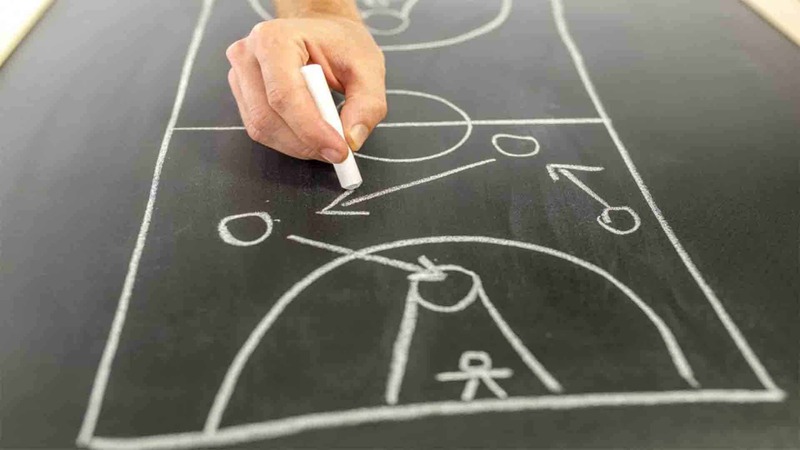 No one likes when players deliberately take more time to make a decision than needed. It is exceptionally rude and considered a bad poker etiquette when you take a lot of time to act preflop. There is nothing more annoying than waiting for a player, who thinks for a minute just to fold his hands preflop. Therefore, thy not to waste your and other player’s time. If someone makes a decision that you think is wrong, let it go. Even if your opponent hits two outers and takes down your money, you do not have any right to berate him. In addition, whatever happens, do not make fun of other players. Remember that this is the game of possibilities and poker odds, so you always have a chance to lose and it will eventually happen. 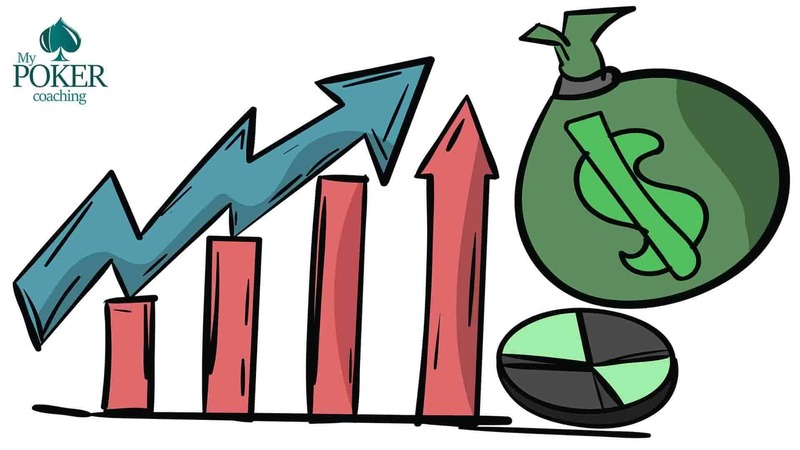 Moreover, do not discourage weaker players from playing in a way that is very profitable for you and if they keep making mistakes, the money will come back. The worst thing that could happen after you berate is a weak player leaving the game. It is not enough to know poker rules, and how to play Texas Holdem. You obviously want to learn some advanced strategies and master the game. Luckily, I can help you out with this. 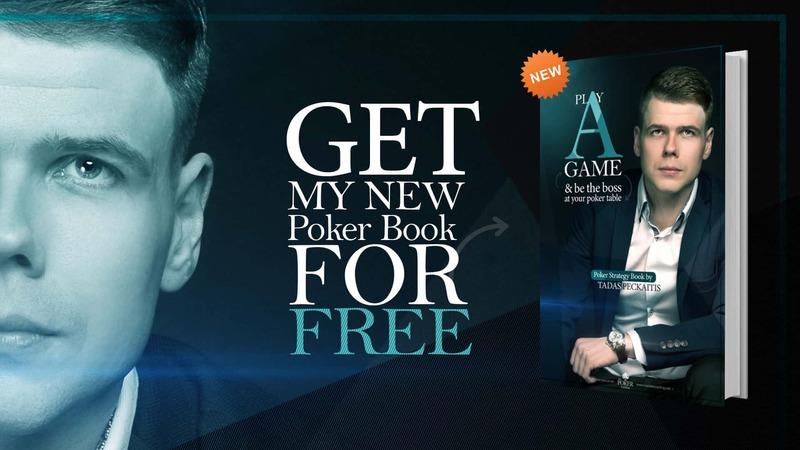 Firstly, I have the whole page dedicated to free poker tips with plenty of strategy content that you can learn. 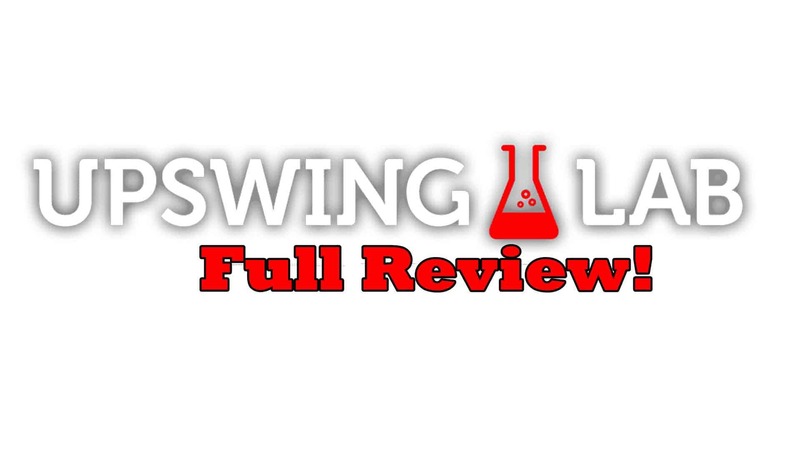 If that is not enough, you can read a full Upswing poker lab review article and see if it is worth joining to learn even more. I covered all critical parts of Texas Holdem strategy and tips, so you should be fully aware of more than just the rules of poker. 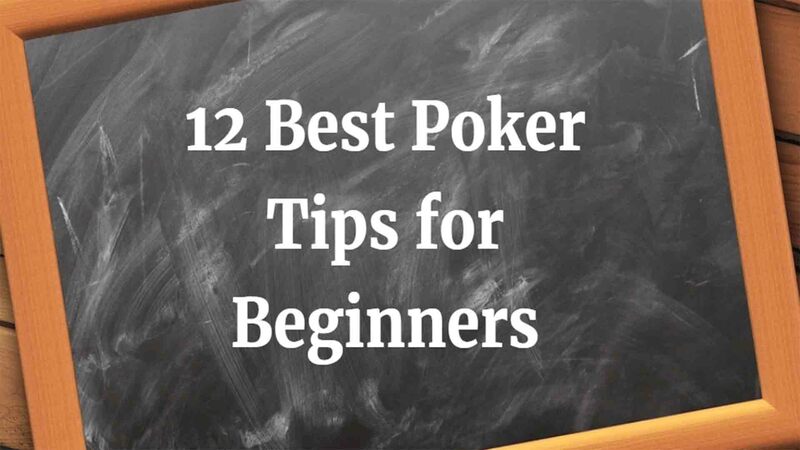 But if you are completely new to this game, I highly recommend Top 12 poker tips for beginners to get the even deeper feeling of this game! 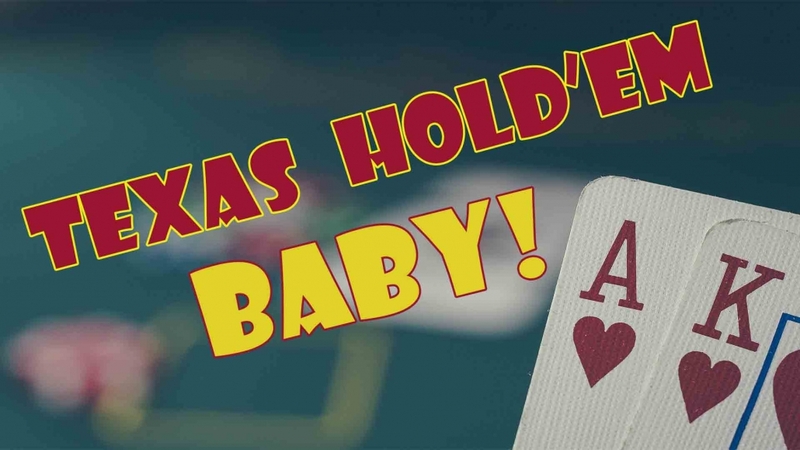 Without a doubt, Texas No-Limit Holdem is the most popular poker form in the world. We already how to play Texas Holdem poker and rules for this variation, but there are many different poker games that can give you a lot of fun, excitement and challenges so it is worth checking it out. 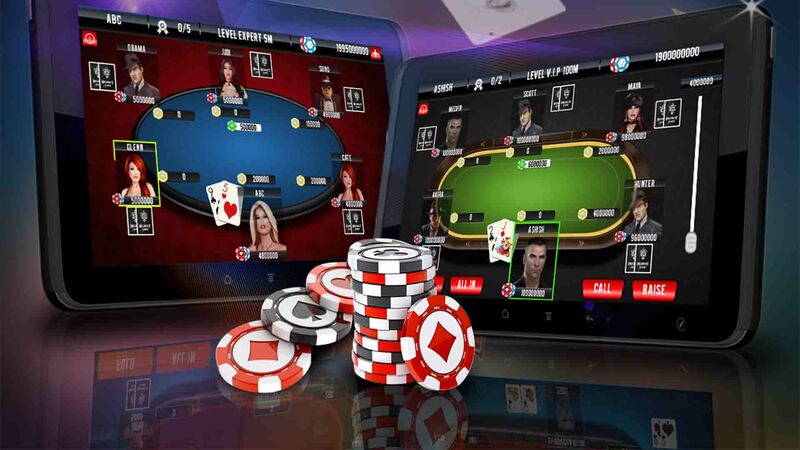 Obviously, apart from having fun and relaxing after your serious session, you will have a chance to improve your overall strategy and approach to the game by learning other formats, and that is why I explain rules of poker games that are also popular in different regions of the world. 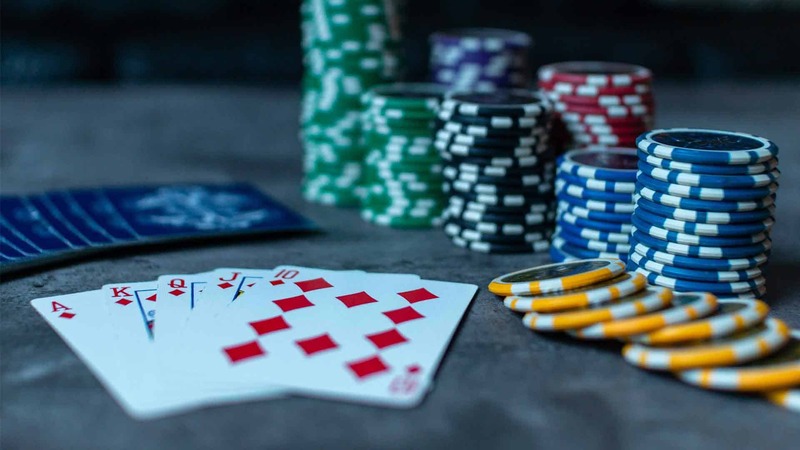 Omaha is a community card game similar to Texas Hold’em in many ways but there are several important differences of Omaha poker rules you need to know about before you take on what is certainly the second most popular poker variation out there. The first and the most obvious difference of poker rules is that you’re dealt four cards instead of just two you get in Hold’em. Hand rankings are still the same and so is the action, i.e. there is a small blind and the big blind, and the action begins with the first player left to the big blind. Another important thing to keep in mind is that most Omaha games are played with pot limit rules, i.e. the biggest amount you can bet on any street is the size of the pot. Occasionally, you’ll also find No Limit Omaha tables, where betting rules are the same as in Texas Hold’em but these are quite infrequent. We’ve mentioned that you get dealt four cards in Omaha. 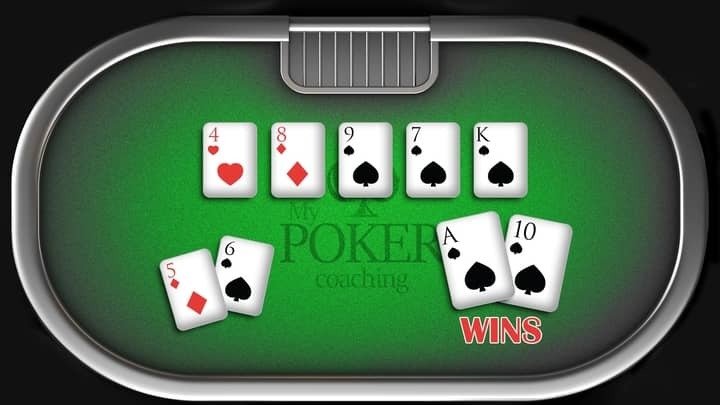 However, you can only use two (and two only) cards to make your hand on the flop, turn, or river. This is often confusing for novice players but what it means is that you can only make a five card hand using two cards from your hand. For example, on a board containing four spades in Omaha, you don’t have a flush if you only have an Ace of spades. Likewise, if the board is all spades, you don’t have the flush unless you have two spade cards in your hand. On the showdown, the best five-card hand wins, using the standard poker hands rankings system, that is used in Hold’em and many other poker forms. Omaha Hi-Lo is a variation of the main Omaha game. The game is played in the same fashion as traditional Omaha except for one important aspect. When it is time to showdown hands, it is possible for the pot to be split between the best high (hi) and the best low (lo) hand. The best high hand is determined the same way as in standard Omaha, sometimes also referred to as Omaha Hi for the distinction sake. When it comes to low hands, the ranking system is probably familiar to mixed games’ players but there is nothing to worry about if you’re new to this concept as it is pretty simple. In order to have the low hand, you need five different cards ranking between Ace and Eight, i.e. A, 2, 3, 4, 5, 6, 7, and 8. It is important to keep in mind that all five cards need to be different, i.e. if you have five low cards but one of them is paired up, you don’t have a qualifying low hand. When it comes to forming low hands, rules are the same as for high hands, i.e. you must use two and only two cards from your hand and three community cards. In the event there are more than one low hands at the showdown, the one with the lowest card wins. For example, A, 5, 6, 7, 8 beats 2, 3, 4, 5, 6. Straights and flushes don’t count against the player in Omaha Hi-Lo. If it happens that there is no low hand at the showdown then the high hand will win the entire pot, in which case player is said to have scooped. It is also possible for the same player to have the best high and the best low hand, in which case they’ll also win the entire pot. One final thing to keep in mind about Omaha Hi-Lo is that you can use the combination of any two cards to make your hands, so you can use two completely different cards for your high and low hands or you can use one or two of the same cards to make both hands. All combinations are allowed as long as you use two cards from your hand and three community cards. This makes the game somehow difficult to master, so make sure to understand pot equity for various situations not to leave money at the table. 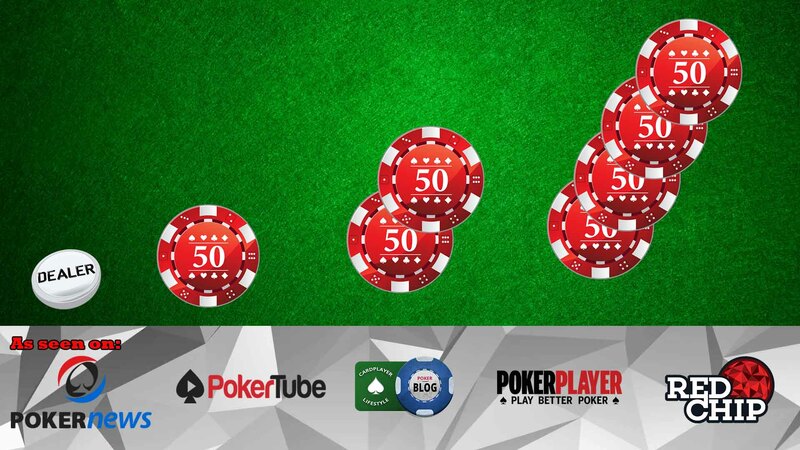 This could be tricky at the beginning, so make sure to learn all rules off poker Hi-Lo format before trying it out. 7 card stud used to be one of the most popular poker variations before Hold’em and Omaha emerged onto the scene. It is also by far the most popular form of stud variations. Games belonging to this group are significantly different from these two modern variations because they feature no community cards whatsoever. Instead, players need to make best hands with the cards they’re dealt individually making 7-card stud poker rules a bit different from the rest. The goal is to make the best five card hand from the seven received cards. 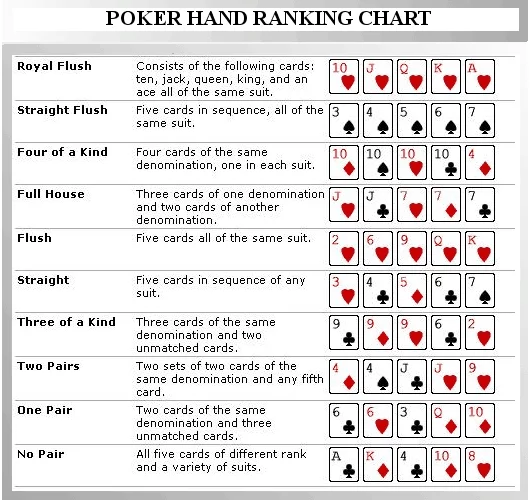 The game uses the standard poker hand rankings for high poker variations. 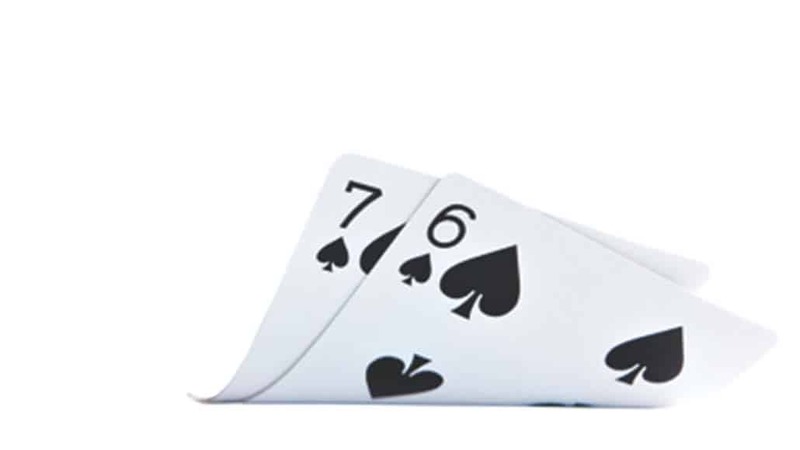 7 card stud is usually played in the limit format, which means that betting is limited and your bet sizes are fixed on each particular street and there are two The hand of 7 Card Stud begins with all players posting the ante. Then, everyone receives three cards, two of them face down and the last one face up for everyone to see. The player showing the lowest card according to the standard card rankings (2 being the lowest and Ace being the highest) is the one to start the action. If two players have the same lowest card value, the one with the lower suit will act first. Suits are ranked, from the lowest to the highest, as clubs, diamonds, hearts, and spades (the easiest way to remember this is simply memorizing they go in alphabetical order, C, D, H, S). The action then continues clockwise until all players have acted. Then the next card is dealt face up and the next betting round begins. 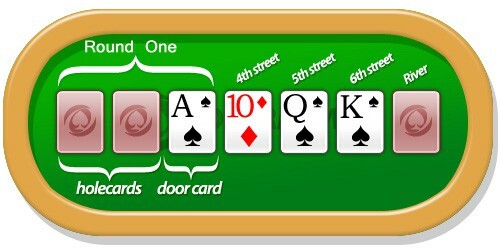 On this and all subsequent streets, the best hand showing will initiate the action, be it the highest card, a pair, etc. After betting is finished, the fifth and sixth cards are dealt face up (with a round of betting in between as well). Finally, the seventh card (7th street) is dealt, and the final round of betting ensues. In the end, if there are two or more players still active in the hand, they’ll turn over their hands and the best hand will win the entire pot. 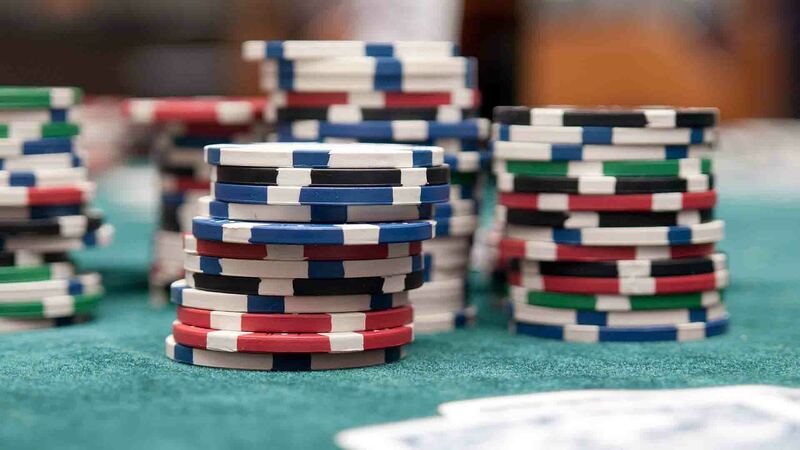 The biggest thing that could confuse players new to 7 card stud poker rules is the betting. The game has a fixed betting structure, with the lower and higher limit, also often referred to as the small and big bet. The ante is usually set at ¼ of the lower limit although this can vary, while the big bet is usually double the amount of the small bet. The player to the left of the bring-in is the next to act and they can choose to fold, call the bet in front of them (match the amount) or raise. If the first player has just posted a bring-in, the first raise would be the amount of the small bet. In a $1/$2 Stud game, this would be $1. If the first player completed, then the raise would be double the amount of the small bet, i.e. $2. The next raise would be to $3, i.e. not doubling the previous raise but rather adding an extra small bet, etc. The action continues around the table and each player is given the same options (fold, call, or raise). However, in 7 card stud, the number of raises per round is usually limited to three, so once there are three raises, players yet to act can only fold or call. The maximum raise rule is usually waived in heads-up pots. Once players get to the fifth street, i.e. the fifth card is dealt, the big bet comes into play. At this point, the upper limit becomes the minimum bet. In the example we used, the minimum bet would now become $2, the first raise would be to $4, then to $6, etc. As already mentioned, the action begins with the strongest hand showing and if there is a tie here, suits are used to determine who goes first. There is one more thing to remember about betting in 7 card stud. 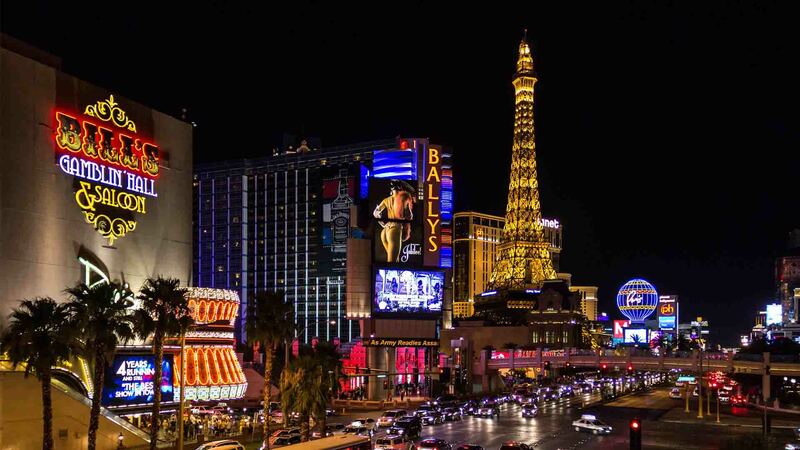 If a player is showing a pair on the fourth street, although the small bet is in play, they’re allowed to open betting with the big bet. So, a player showing any pair at this point can start the action by betting $2 instead of $1, and the action continues the same as if a big bet round was in play. 5 card draw is another poker variation that used to be popular a while ago but it is hardly played in casinos these days. However, there are still some online poker sites spreading the game so knowing the poker rules can be very handy. First of all, as the name suggests, 5 card draw is a draw form of poker, so there are no community cards and the process of dealing cards differs from stud games. Hand rankings for high games still apply, so best hands range from a high card to a royal flush. The game is sometimes played with blinds, just like Hold’em, although usually in the pot limit variation, while sometimes it is played with antes and follows a more stud-like pattern. The game begins with all players receiving five cards, all face down. Once all players are dealt their cards, the first betting round begins. In games with blinds, the action begins with the player seated left to the big blind (under the gun). In the ante games, the first player to receive the cards begins the action. These days, most 5 card draw games are played with big blinds. The first player to act has the option to fold, call the big blind, or raise. 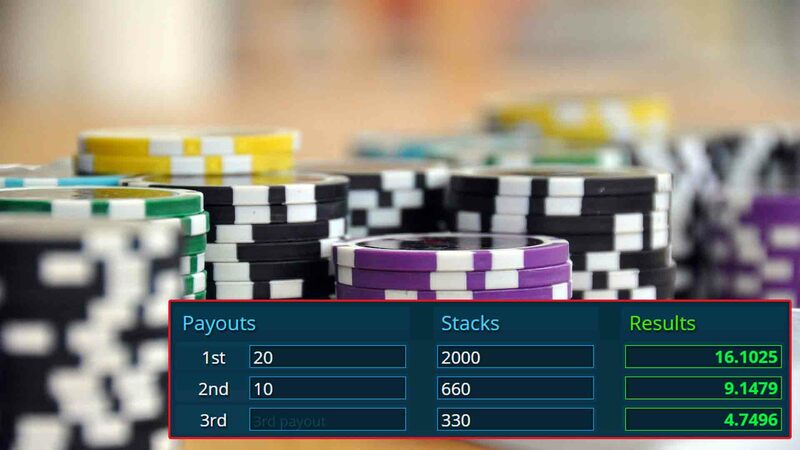 The exact betting structure depends on whether the game is played in limit, pot limit, or no limit format. 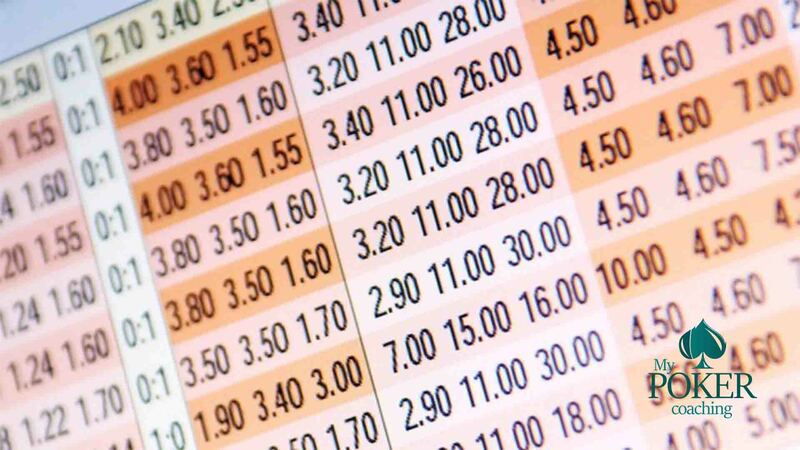 In pot limit and no limit, betting rules are pretty much the same, except for the fact the biggest bet/raise is limited to the size of the pot. In the fixed limit structure, all players follow the betting rules, with the fixed amount of bets and raises. Players base their decision on the five cards they have in their hands and their future potential. Once the first betting round is over, all players have an option to exchange as many cards as they like (between just one and all five) and receive new cards or “stand pat,” indicating they’re happy with their current hand. The goal of the draw is to improve your hand, so, for example, if you have four to a flush, you’ll probably want to take just one card, discarding your non-suited card. If you have a pair, you’ll likely want to discard three unpaired cards to try and improve to trips or better, etc. Once all players have exchanged their cards, the second betting round ensues. Once all bets are done, if there are two or more players still active in the hand, they’ll turn their hands over and the best hand according to the standard hand rankings for high poker variations will win the pot. If two or more players have the same hand, they’ll split the pot equally. Suits do not play a role in determining the best hand, i.e. an Ace high flush in spades will tie with an Ace high flush in diamonds. Razz is essentially the low variation of 7 card stud. The game is usually played with the fixed betting format and, just like in 7 card stud, all players put up an ante at the start of the hand. Three initial cards are dealt, two face down and one face up. The main difference from 7 card stud is that the action will begin with the player showing the highest card. On the fourth and all subsequent streets, the first player to act is the one showing the strongest (the lowest) card. The biggest difference between 7 card stud and Razz is in hand rankings. In Razz, your aim is to make the lowest possible five-card hand and the cards are ranked from an Ace (being the best and the lowest) to a King (being the worst and the highest). So, the best possible hand you can have in Razz is actually the wheel, i.e. the straight from an Ace to a Five (A, 2, 3, 4, 5). This is because the second hand, although it is all low cards, doesn’t have a legitimate combination of five distinct cards. Every complete five-card hand beats any four-card hand. After the betting is finished on the seventh street, there is a showdown and the best (the lowest) hand wins the pot. The lowest card in the combination is used to determine the winner, i.e. If two or more players have the same hand, they will split the pot. Suits do not play any role in determining the winner and hands of the same strength will always chop. Even being a different poker game from the rest, Razz poker rules are not hard to learn, so you can learn and enjoy this game very fast. 2-7 Triple Draw is an interesting game from the group of draw poker variations. The rules of this poker game are quite unusual, especially in terms of its hand rankings, which aren’t really found in other poker variations, so this is the most important thing to learn about the game. Like the name suggests, the best hand in 2-7 triple draw (and other 2-7 variations, for that matter) is the hand that contains 2, 3, 4, 5, and 7. So, it is similar to low forms of poker but in this case, an Ace counts as the highest card, not the lowest. Furthermore, flushes and straights do count against the player, so a hand like 2, 3, 4, 5, 6 is actually one of the worst possible hands you can have. Thus, it is worth to memorize these poker rules before sitting down to play. So, as you can see, the goal is to make the best five-card hand so having pairs doesn’t help your cause. 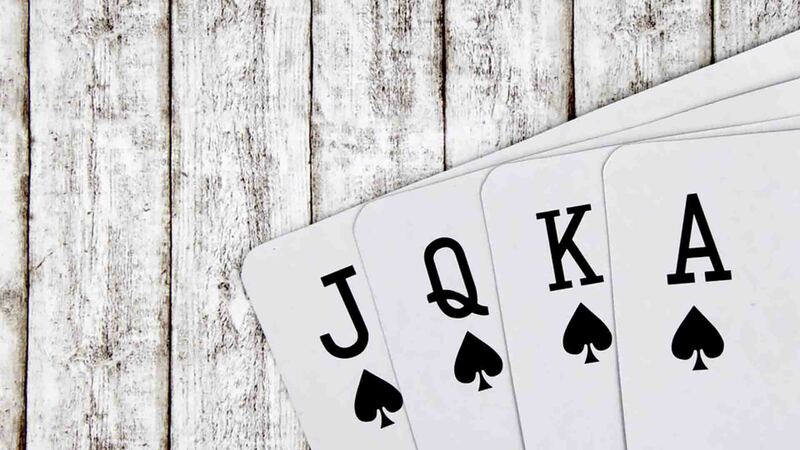 However, even a paired hand is better than the one containing a straight as the straight hand can only beat another straight or a flush hand. 2-7 Triple Draw is usually played with blinds and fixed betting limits, so the setup is similar to that of Limit Texas Hold’em. For example in a $1/$2 game, blinds would be $0.5/$1. The action during the first two betting rounds is played using the small bet ($1) as the minimum, while during the second two rounds, the big bet ($2) is used. At the start of a hand, each player receives five cards, all face down. The action begins with the first player to the left of the dealer, who can opt to fold, call, or raise (making it $1 to go in our example). The next player can fold, call, or raise, adding the extra $1, etc. Once the betting is completed, all players can discard as many cards as they like (one to five) and get new ones. Of course, the player can also choose to “stand pat,” keeping all of his/her five cards. The next betting round then begins with the first active player to the left of the dealer. The small bet is still in play at this point. Then, there is another draw, followed by another betting round, where the big bet comes into play ($2). Finally, there is the third and the last draw, followed by another round of betting with the big bet in play. 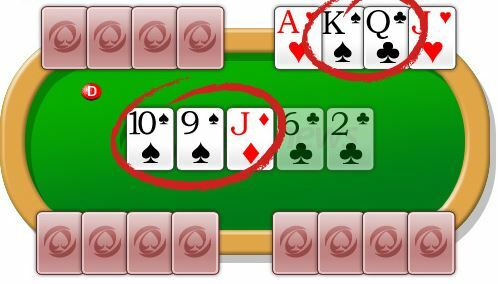 At the end of the hand, if there are two or more players still active, they’ll show down their hands and the best hand according to the hand ranking rules described above wins the pot. To avoid any confusion from these rules of poker game, in the case of qualifying five-card hands, the one with the lowest top card wins the pot, i.e. 2, 3, 4, 5, 9 loses to 3, 4, 5, 7, 8. Open Face Chinese (OFC) is a form of poker that developed from traditional Chinese poker. It is a specialty game of sorts because it isn’t as much of a poker game as the other ones listed here. However, it is an entertaining variation, especially for home games and it is also available at some online poker sites, so here’s the basic breakdown of open face Chinese poker rules. Open Face Chinese is played using the dealer button although there are no blinds in play. For keeping score, the points system is used, and players agree in advance on how much each point is worth. In OFC, every player is dealt 13 cards by the end of the hand, which means that the game can be played by no more than four players at the same time. The goal of the game is to make three distinct qualifying hands in three different rows. To start with, players are dealt five cards, all face-up, and they need to arrange them in one of the three rows. The bottom and the middle row contain five cards, while the top row contains only three. OFC uses the standard poker hand ranking system. Once you place a card in a row, you can no longer move it – it is fixed there. The bottom row must be the strongest hand of the three. So, you need to arrange your first five cards keeping this in mind, i.e. you need to shape your hand in a way where the bottom row will be the best hand, the middle row will be the second best, etc. After the first round, players are dealt one card at a time each and can choose to place them wherever they like. However, once the card is placed, it can no longer be moved anywhere else on subsequent rounds. In addition to this, OFC also features bonus points for various hands in different rows. For example, a royal flush in the bottom row gives +25 points, while the royal flush in the middle row (provided the hand doesn’t break the rules) brings +50 points. We’ve mentioned strict Chinese poker rules about the hand strength by the rows, i.e. the bottom one being the strongest, the middle one being the second-best, etc. These aren’t suggestions in Open Face Chinese. If you complete a hand where these rules aren’t followed, so, for example, your middle row beats the bottom row, you have fouled the hand and lose across all rows by default as long as your opponent(s) don’t foul as well. The Fantasy Land is a special rule in OFC. If you make a qualifying hand where your top-row hand is a pair of Queens or better, on the next round, you’ll be in the Fantasy Land. What this means is that you’ll get all 13 cards at once, so you’ll have the full information available to distribute your cards in all three rows, which is a huge advantage in this game. Short Deck Hold’em (or 6+ Hold’em) has become quite popular lately, with Macau high rollers creating a huge buzz for the game. Thanks to this popularity, the game has also started to appear on a number of online poker sites. If you were thinking about giving it a go, here’s the breakdown of Short Deck Hold’em poker rules. As the name suggests, this is a Hold’em game, so many of the things remain the same. There are a few differences, however. 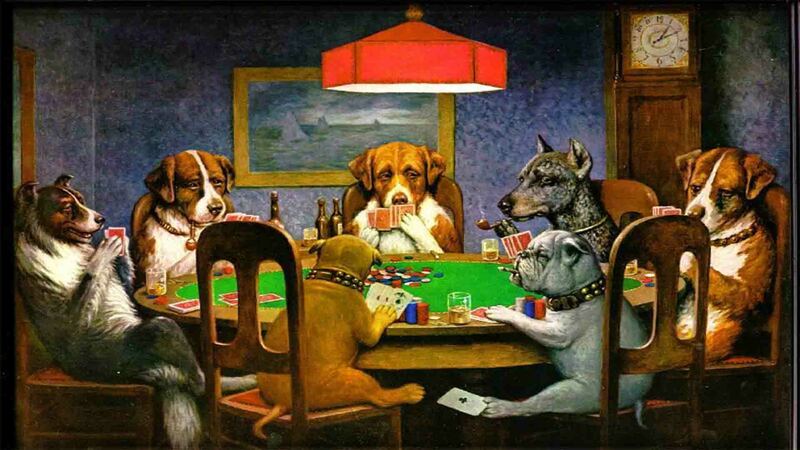 First of all, the betting structure of 6+ Hold’em is usually somewhat different. Instead of the usual big and small blind, all players at the table post an agreed-upon ante at the start of each hand. Then, the dealer posts the big blind, so there is just one blind, not two. The action begins with the first player to the left of the dealer and that’s where the differences end as far as the betting is concerned. Now moving on to the more important difference. This variation is played with a “short” deck, meaning that all the cards below six (6) are removed from play (i.e., all 2s, 3s, 4s, and 5s). This leaves only 36 cards in play instead of the usual 52. That’s really all you need to know about Short Deck Hold’em rules. Everything else remains the same as in traditional No Limit Hold’em. The action will always start with the first player to the left of the button and you can bet and raise as much as you like on any betting round (preflop, flop, turn, and river). Dealer’s choice poker isn’t a particular variation of the game. 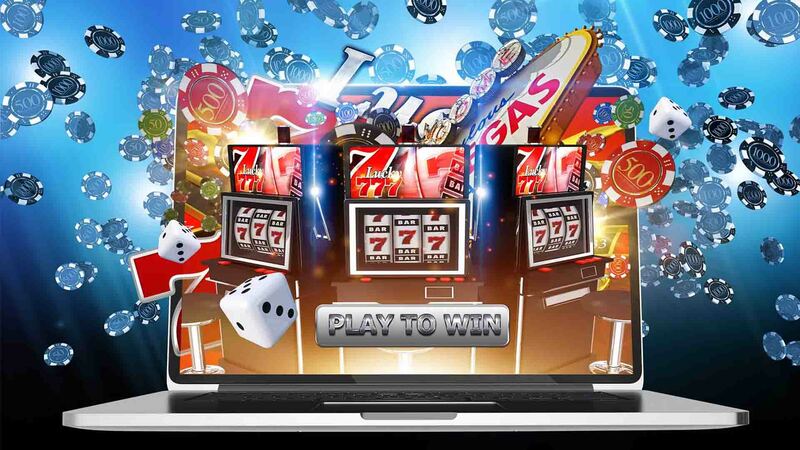 Instead, it is a format in which the player on the dealer button chooses the game to be played next. Sometimes, games are changed every hand while sometimes there is a full round of play with one game and then the next player on the dealer gets to pick his or her game. 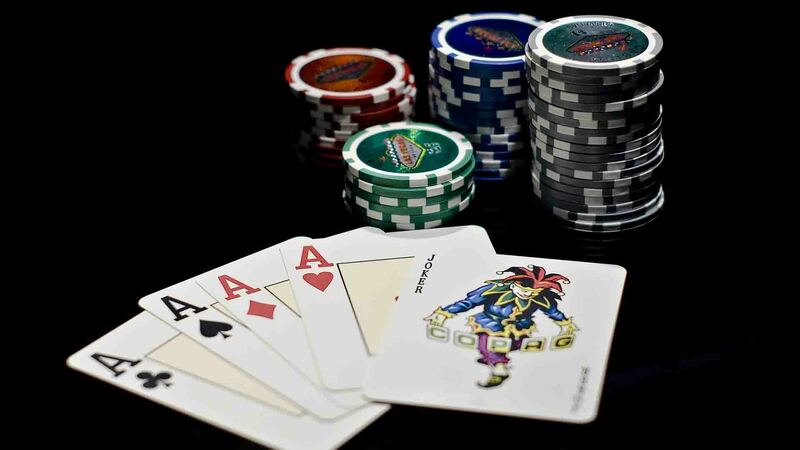 Although dealer’s choice poker is more commonly found in home games, there are certain casinos spreading these games and you’ll even find some dealer’s choice tournaments. 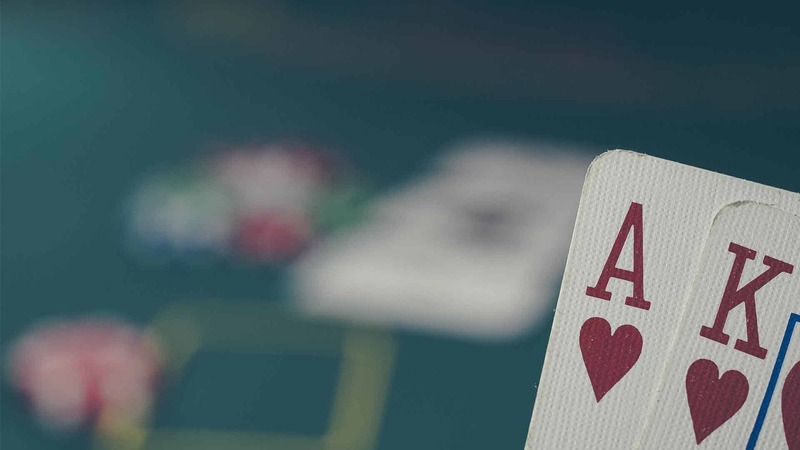 In casinos, there is usually a list of games that can be picked, while home games can be a bit on the wild side, where players can come up with pretty much any poker variation they feel like playing. 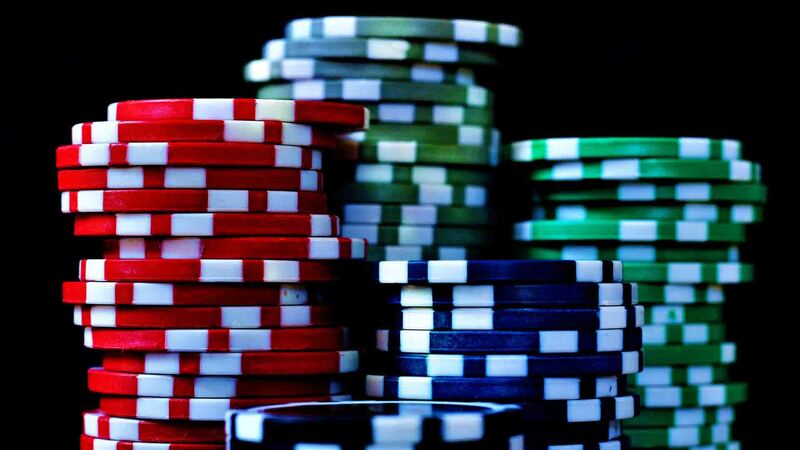 The only thing to keep in mind about dealer’s choice games is that rules off poker need to be fair. This means that all the players need to have a shot at picking the game they feel the most comfortable with. 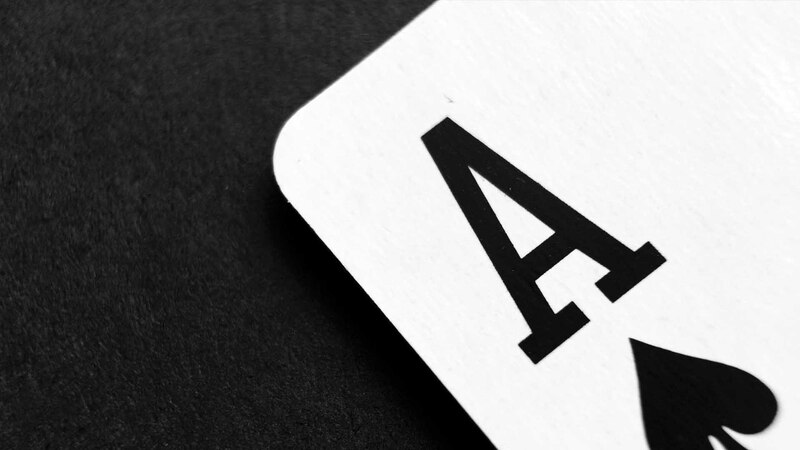 To start with, the first player to act as a dealer can be determined using the traditional high card method. From there, the button moves clockwise, as always. Other than this, every game in the mix is played according to its own rules. You can use dealer’s choice games as a place to practice all the different variations of games you’re not as familiar with and hone your skills.